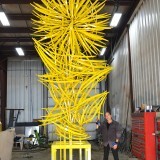 In the fall of 2016, Dimitar Lukanov’s Waterfall of Light is to be installed at South Carolina’s Greenville-Spartanburg International Airport. 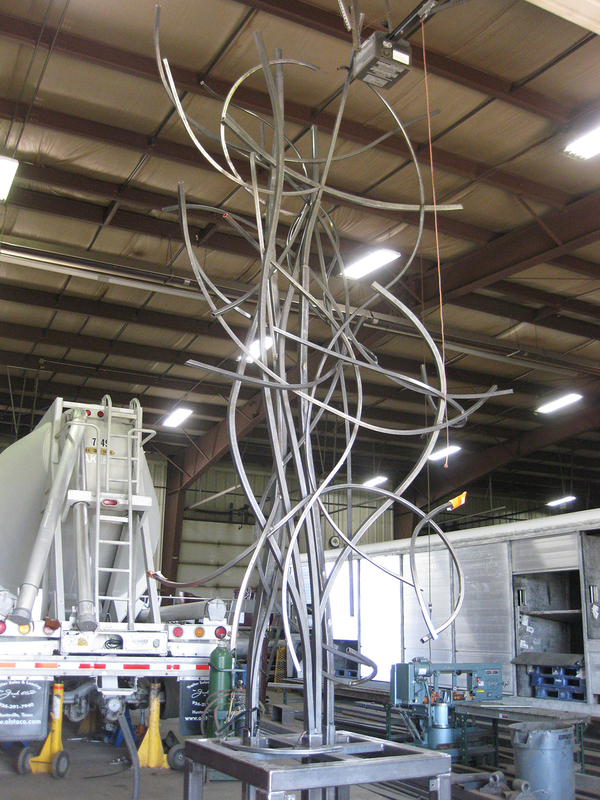 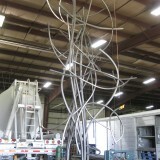 The sculpture will “live” as a visual crossroad; a welcoming beacon and a focal perspective point as if all trajectories of travel converge into one. 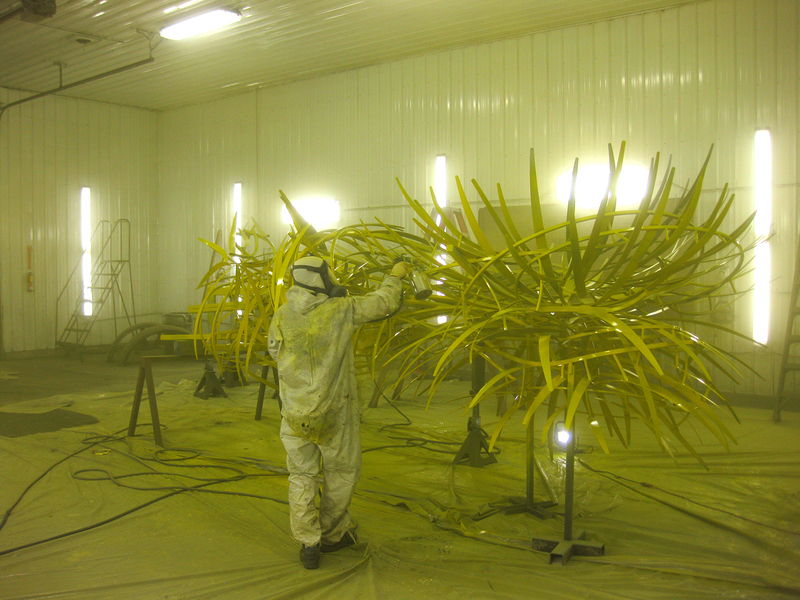 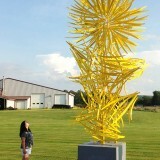 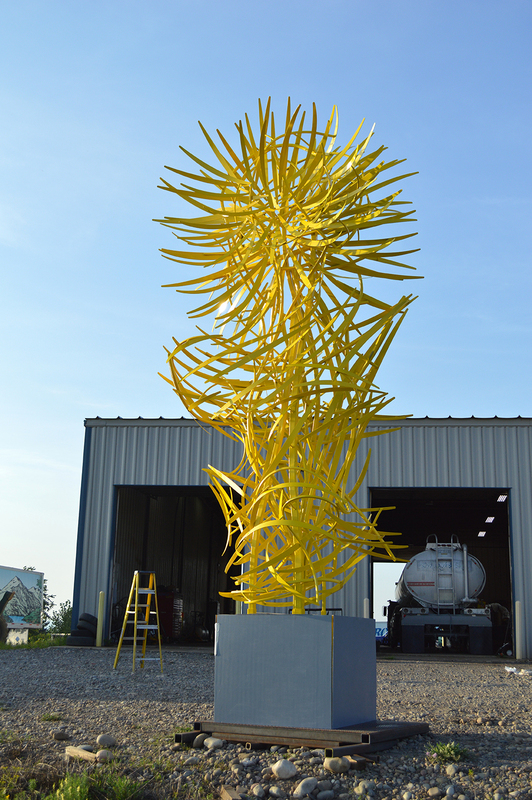 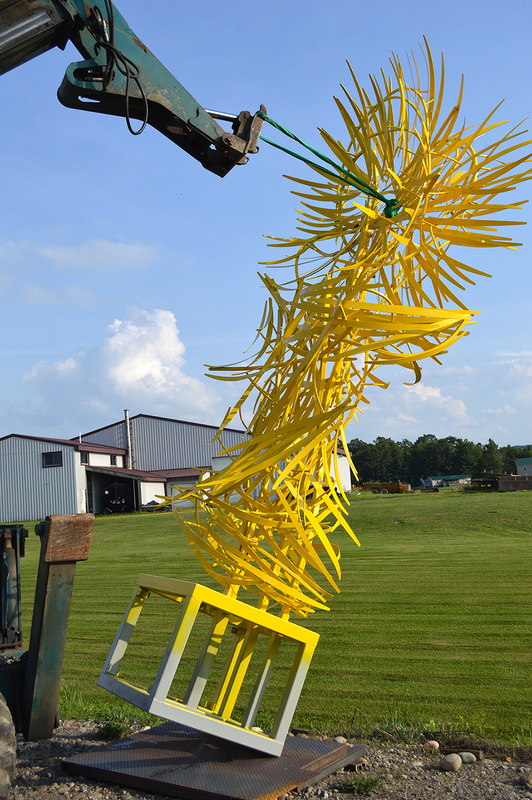 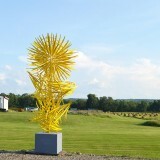 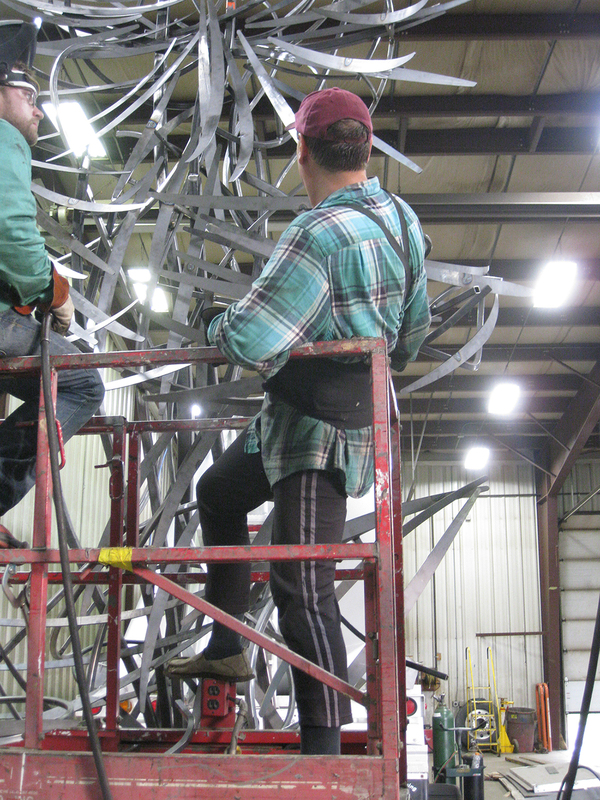 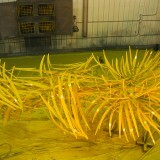 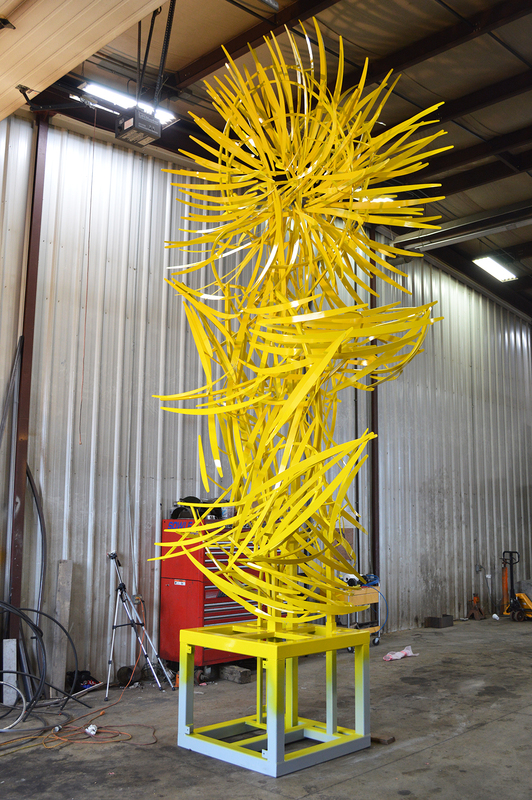 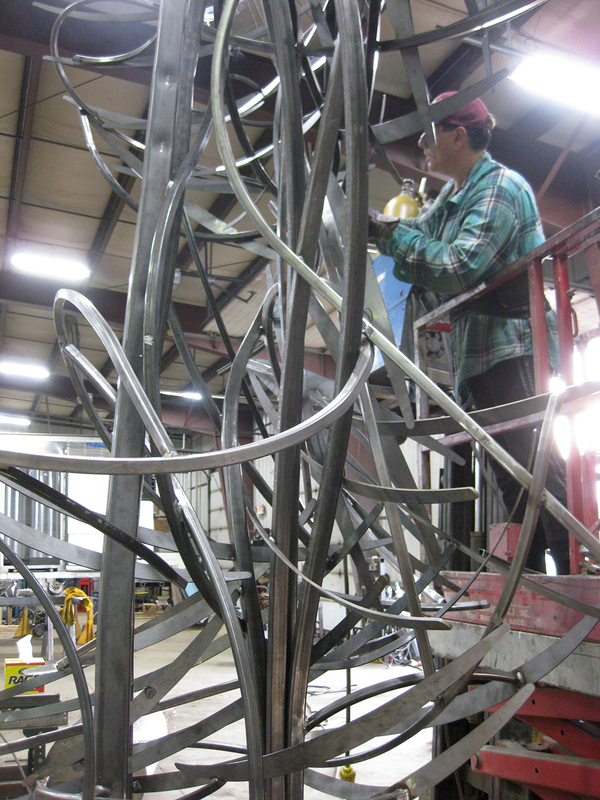 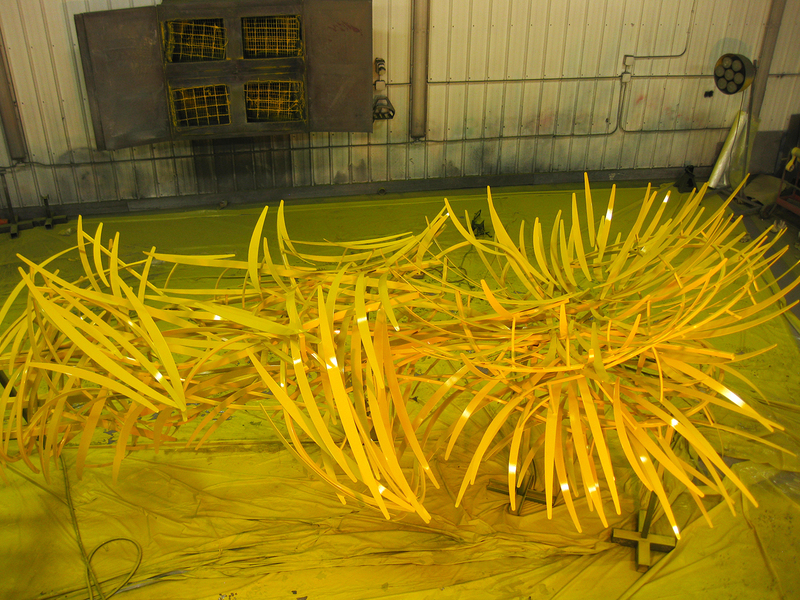 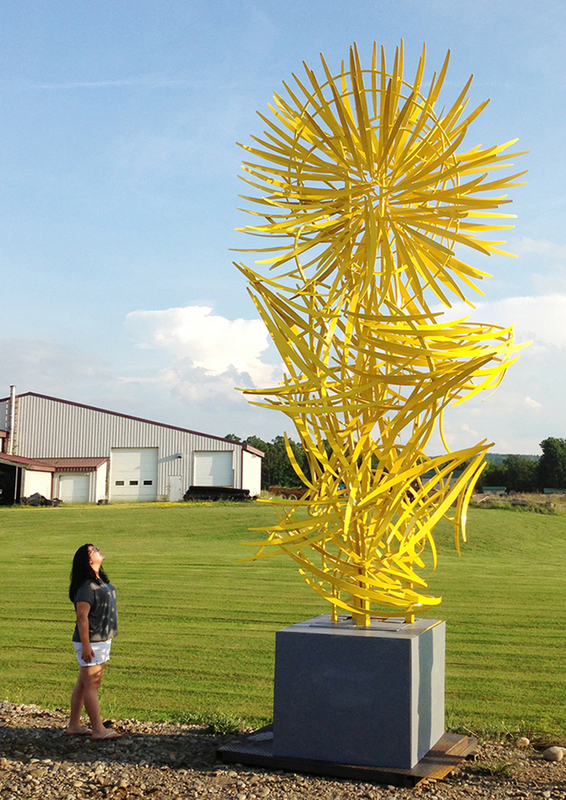 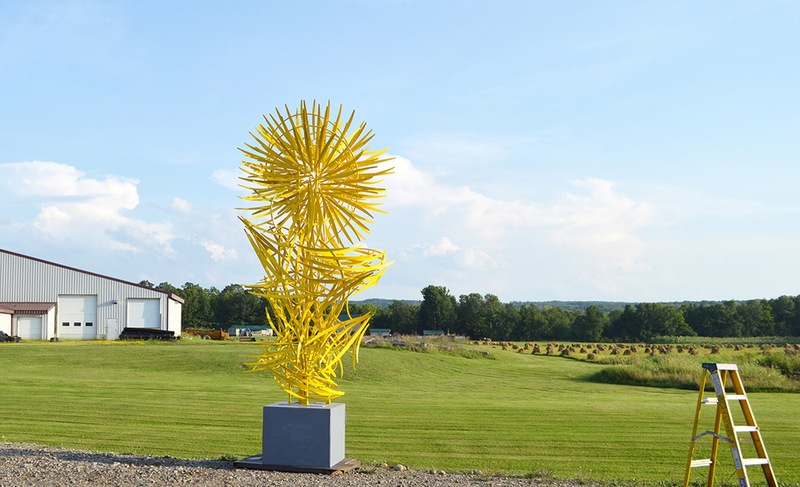 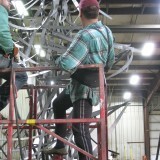 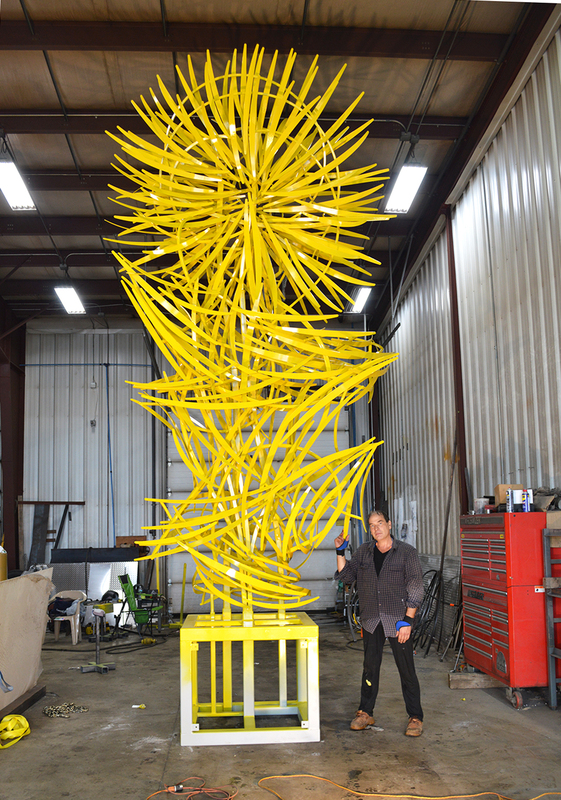 The 19ft sculpture’s immediate vibrancy is embodied by an upward sequence of 250 light-filled, filigree steel elements and 300ft of bent steel tubing. 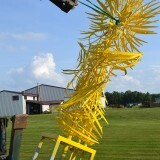 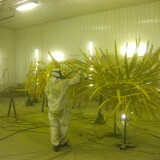 Dimitar Lukanov built the sculpture as a veritable drawing in the air. 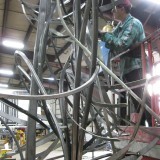 No computer was used to extrapolate sculpture’s development as work was scaled by eye, with an immediate placement of tubing and elements. 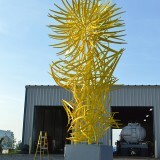 As a symbol of growth, renewal and continuum, sculpture’s ascendant cascades of light culminate in a sun, oriented to both airport’s interior and GSP’s unique nature-saturated exterior. 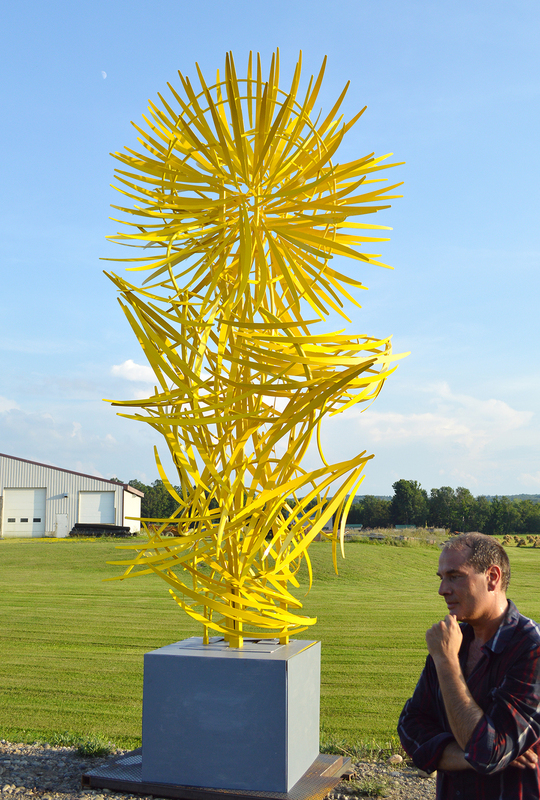 Much like people in an airport, the beams of light – veritable comets, converge into a single apex, only to disperse – ad infinitum – at its next level. 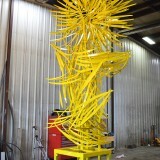 Like the flow of water, Waterfall of Light aspires to be a never-ending gesture of movement, and a wellspring of life.